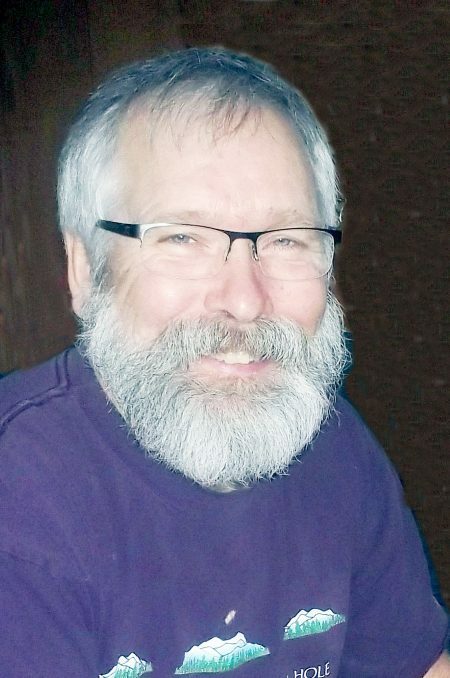 James Gordon (Jim) Phipps, age 62, passed away on Friday, January 5, 2017, in his home at Cochrane, Alberta, after a three-year struggle with an aggressive form of cancer. Jim was born on May 23, 1955, in Ottawa, Ontario, to Welland Wilfred Phipps and Frances (Coolin) Phipps. One of eight children, Jim lived an adventurous life and grew up in the North where his father was a well-known Arctic pilot. Among his many accomplishments, Jim was a master commercial diver and a proficient sailor. Jim inherited “Whiskey Papa,” his father’s 50 foot boat, which he lovingly restored. In his later years, Jim worked as a high-end finishing carpenter and site supervisor. He was a talented craftsman, who always strove for the highest quality. Jim loved the outdoors and engaged in many sports such as paragliding, paddling, and skiing. He will be remembered for his enthusiasm for life, sardonic sense of humor, bravery in the face of an aggressive disease, and dedication to his pets, friends and family. Jim was predeceased by his parents, as well as by his two brothers, Bob and David. He is survived by his wife of 20 years, Leslie Johnson, and by his sisters Janet (Russ Kilroy) Cassidy; Deborah (Robin) Stevenson; Brenda (Paul Rancourt) Phipps; Wendy Read, and Terri (Shawn) Lucier; and by his many nieces, nephews, and cousins. A Celebration of Life will be held on Sunday, January 14th, 2018, at 1p.m. at the Best Western Village Park Inn, 1804 Crowchild Trail NW, Calgary, Alberta. Special thanks to the staff at Tom Baker Cancer Centre, who made heroic medical efforts to save Jim’s life and to the Cochrane Home Care team who helped him live his last days in comfort. We are thinking of you all during this very difficult time. It sounds like you will all have wonderful memories when you think of him. so sorry to hear passing of another great cousin. lots of good memories for everyone to remember a wonderful person. Thinking of you and sending deep condolences. Sending you love and my condolences during this difficult time. Though we knew it was coming, it is still tragically, devastating news. Leslie, we are so very, profoundly sorry for your loss. Your tribute to Jim was extraordinary and may your many special memories be comforting to you. He was a very precious friend and will be dearly missed. My thoughts are with you in this difficult time. Remember that you are loved. Jim was a good man — we will miss him. Leslie, I’m so sorry to hear of the passing of your husband. Please accept my condolences to you and your family and I hope that your happy memories will sustain you through this time of grieving. We are so sorry for your loss. May you find comfort in family and friends (Proverbs 17:17). For additonal strength, may you find it in God who cares for you (1 Peter 5:7). Please accept our deepest condolences.